Dr. Dohda's main research interests are in the interrelated area of metal forming, process tribology, surface engineering and micro/meso manufacturing. Toyota Motor Central Lab, Nippon Steel, Nachi Fujikoshi, Kobe Steel, Sankyo Aluminum, YKK and others have supported his work. Dr. Dohda has published about 150 articles and supervised over 40 MS and some Ph.D. students in these areas. Dr. Dohda used to be Chair of the Process Tribology Committee in Japan Society of Technology of Plasticity. 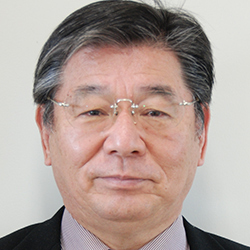 He is the past Chair of the Materials and Material Processing Division of Japan Society of Mechanical Engineering.